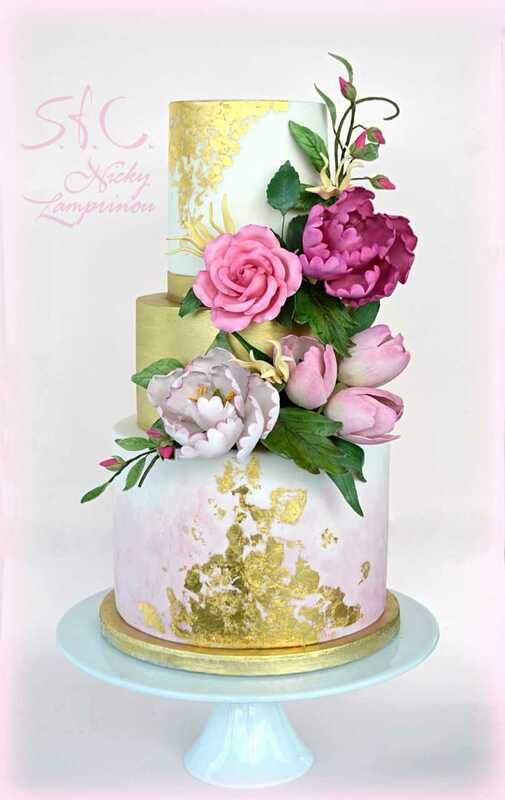 Nicky Lambrinou is a professional sugar artist and cake designer based in Athens, Greece. 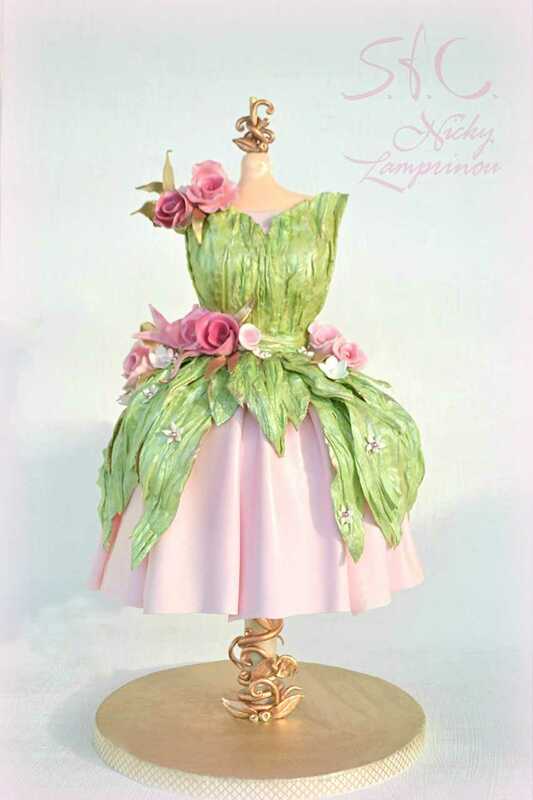 She has been involved into the sugar art since 2002. It all started as a hobby but it gradually became profession. 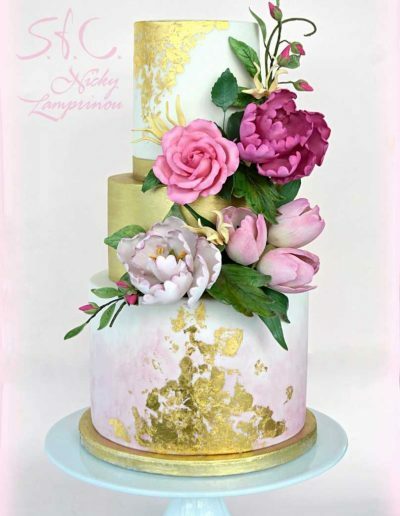 In 2007 she created the blog https://www.sugarflowerscreations.com , which soon became quite popular for her fresh design ideas and her unique recipes. 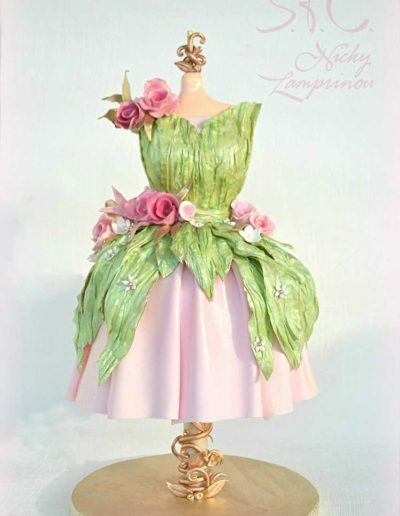 themes with step by step instructions. 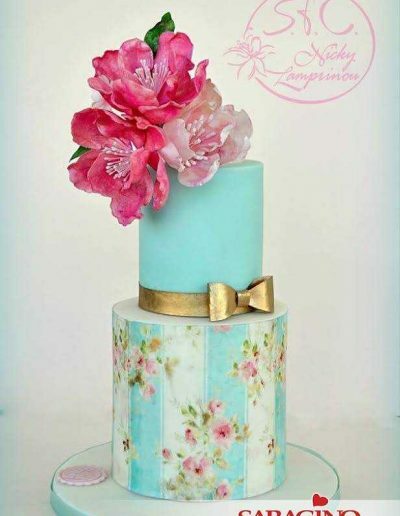 Since 2011 she has been teaching sugar art and cake decorating seminars for both beginners and advanced students. Most of her students are professionals who seek further specialisation. 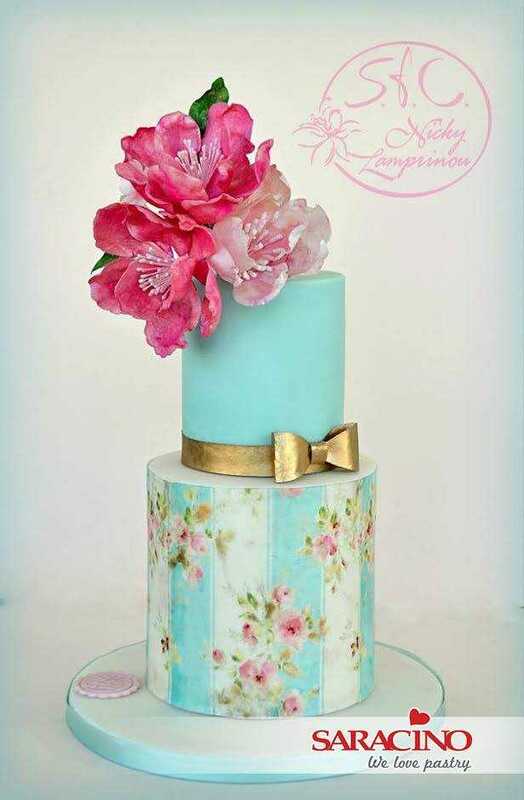 Except sugar paste and modeling paste the techniques include wafer paper, buttercream and royal icing. Both subjects and techniques are being renewed very often.